As an expert in constrained peptides, Pepscan has also developed a proprietary, highly versatile constaining technology, called CLIPS (Chemical Linkage of Peptides onto Scaffolds; WO2004/077062). 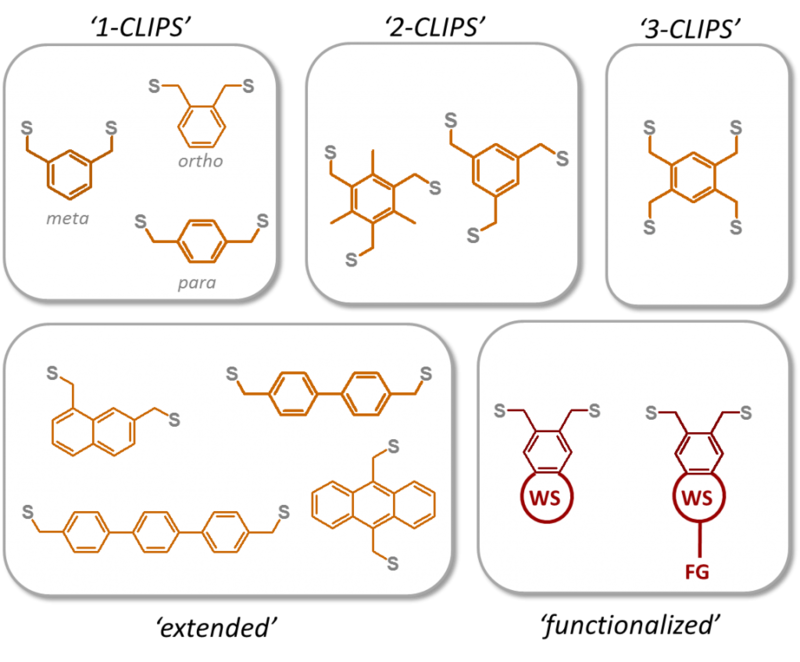 CLIPS technology involves the cyclization of linear peptides via reaction of thiol-functionalities of the cysteines with a small rigid entity. This anchor reacts exclusively with thiols and attaches to the peptide via covalent bonds. The CLIPS cyclization technology is unique for its versatility and ease of application. The cyclization reaction lasts no longer than 30 min, runs at room temperature and does not require any sort of catalysis.